Before I designed my Rocket Stove I consulted with my engineer brother-in-law who guided me in the right direction to understanding exactly what makes a Rocket Stove "rockety". Because I am ADHD I hate wordy posts so I will try to keep it simple. My hope is to help everyone understand what is happening inside the Rocket Stove so they can improve their own designs. I am in no way a math wiz and so I plugged these formulas into an excel spreadsheet and played with the numbers so I could make the most of the stove. 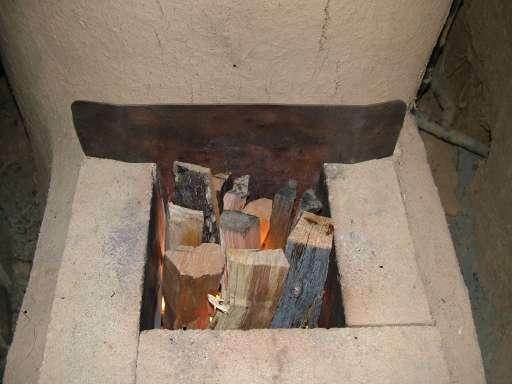 The primary factor driving the force within the rocket stove is the "stack effect". The larger the heat riser, the faster the flow will be. The other is the difference in temperature of the fire box and the outside air. 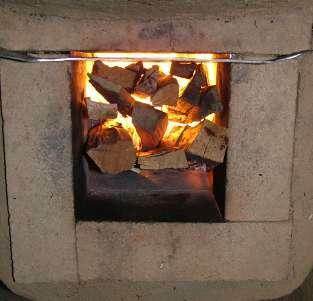 In my stove I used fire brick, a 10" heat riser 1.5" thick and a 55 gallon drum. I used Paul's portable rocket mass heater design and made some minor tweaks. I discovered with trial and error and calculations that the size of the intake is not as important as the size of the heat riser. If you take a look at the "ventury effect" you can see that a smaller opening will actually help increase the air speed over the burning sticks also improving the "rocketiness". 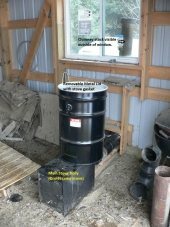 I chose a 10" heat riser by using a basic formula based on the 23" diameter of the drum. In the flow equation A = the Area of a cross section of the heat riser. To prevent a bottle neck past the heat riser if I use a 10" heat riser + 1.5" of insulation totaling 3", the remainder is 10". I said I will keep it short, I hope this helps get some wheels turning. Feel free to comment. Thanks. I will try to post pictures later. Thanks to those who introduced me to an efficient way to heat things up. Some equations to help make the most of your barrel. 55 gallon drum diameter(d) = 23", radius(r) = 11.5"
I decided to use a 10" heat riser by starting with 23" - 10" inside diameter which leaves 13" which breaks down to 1.5" of insulation. 10" + 3" = 13" for the diameter of the outer wall of the inner pipe. 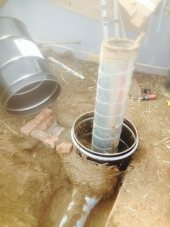 I used a 7" pipe connected to a 6" pipe to make the 13" diameter pipe and filled the space with the insulating material. The 5" remaining radius totals a 10" diameter outer pipe. Even though we are dealing with a circle, pi and the square cancel out and you are left with a simple linear equation. After reading some posts I realized I may not have made it clear enough in my own post. The diameter of the heat riser is the primary variable of the "rocket" effect. One of the two "engines" driving the stove is the heat riser. A bigger "cylinder" produces more power. The second "engine" is the cooling of the air at the heat barrel causing a bit of a siphon effect. I'm sure it can be quantified but I haven't discovered that equation yet. Well summed up I do tend to argue that the opening for the wood feed is important because you are going to limit air in by fuel filling the space. unless you are building one to run on oil or some other small particle size fuel. Let me illustrate. When designing your Rocket Stove each section should be considered separately. Section 1. is the Fuel Source, in our case, wood. Section 2. is where the fuel and air is mixed. This is where the size does not have to equal the heat riser. According to the Bernoulli Principle, as the pressure decreases(smaller opening), the speed of the fluid, in our case air, increases. Thus increasing "rocketiness". I used equations to prove this as well as tested it. The greater the temperature is in this section the greater the rocket effect. Section 3. is the Heat Riser where we are taking advantage of the heat expansion of air. This is the work-horse of the stove. This is where the size should be as large as you can make it. This variable strongly effects the rocket effect. Section 4. not shown would be the barrel which is radiating heat into the room and cooling the air. Section 5. would be the Heat Bench where we extract even more heat and store it like a capacitor stores electricity for release. Section 6. would be the exhaust where it finally leaves the building. This section of pipe also can be any size and will not have an effect on the intake. This is because air is compressible. If you have a 4" exhaust versus an 8" exhaust, the main variable effected is the pressure at that point in the flow. Breaking the stove down into its individual sections and tackling each separately will help you to maximize the rocket effect while maximizing the dollars in your wallet. Thank you for this in layman's terms Jeremy. This helps with my sleepless nights trying to figure the "math" and design of my own. Chamber 1 can be any size you want to hold the fuel you want to burn? 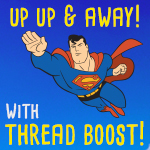 So it doesnt matter if its top feed like in your drawing or front feed like a regular wood stove? Chamber 2 has to be smaller than Chamber 3 in diamter to get the "rocketiness effect? Install a small diameter diameter pipe or square tubing for CHAMBER 2 which is part and part of the heat riser for chamber 3. Then take a drum of any size put it over the the heat riser to make Chamber 3 then install the exhaust pipe near the bottom of the barrel or Chamber 3 ? Actually your rocket stove should be considered as a system. the J tube part is only a piece of the whole When the barrel/bell goes on things change then when the thermal mass goes on things change again. you put drag on the exhaust you put back pressure on the J tube. your fire slows down, an essential thing to consider is time, temp and turbulence. 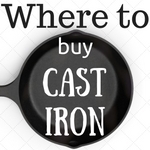 this catches lots of folks who want to modify the stove. in order to burn up most of the smoke you need it to be in the flame path for a period of time you need the gasses to mix and you need to have ignition temp. What this means is you build a core that roars and the flame path is near the top of the heat riser. put a barrel on it the flame path is a little further down the heat riser then put the ducting in the thermal mass with the general couple corners that lowers the flame path a bit further. the shape of the feed and burn tunnel and the texture of the brick act with the wood to provide a good mixing then the residue gasses get mixed a second time when the stream from the heat riser hits the inside of the bell this puts the little bit of O2 in contact with the little bit of pyrolitic gasses remaining and re-burns. consuming all the wasted fuel (smoke) what remains is CO2 and water with a couple gasses that wont burn unless you get a real high heat going. I am not for creating a super stove that wont work half the time I want my systems to be robust and work all the time. so I consider the system rather than a component. Something for the super rockety folks to think on, time temp turbulence. What I would like to do is build a outdoor sauna with this type of stove that is safe and wont burn the place down with a open feed tube. I was thinking with that small of feed tube I would be putting wood in all the time just to keep the sauna heated. 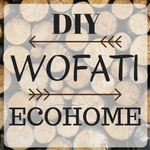 Unlike a regular wood stiove where you put a bunch a wood in and you dont have to worry about feeding it all the time. That's why I the Rocket Stove Heater caught my eye. It burns hot and fast. I may be wrong, maybe the design will heat a suana up to those temps pretty quickly. I am just thinking because of the small feed tube it would take forever for it to reach those temps. I would suggest you build an 8 inch test system outside and see. 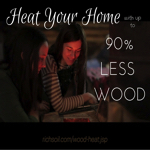 the 8 inch will work fine and you will need to feed it about every hour (if you use some big wood rather than all twigs) I believe the stay time in a hot sauna is 30 min. However there are other stoves that would do well in that environment. I know of two rocket saunas and they both work fine but the folks who built them where Cob and bail builders with experience. you might have something different in mind. Thank you Ernie for the suggestion. I shall try it out. I can handle feeding it every hour. So make the Feed Chamber as well as the Burn Chamber all 8" ? no problem thats why Erica and I hang around here. Hey Ernie! The idea of woodstove/rocket heater hybrid I was talking about wantimg to try you already did LOL! I stumbled across your video "wood stove + rocket mass heater = hybrid "
Glad I watched it. You made some points that I would never have considered. I am also making a sauna heater. Here is my plan. 4" feed tube, 3" burn tube, 4" heat riser. The plan is to basically make a Aprovecho except with rocks in the pot. I will have vermaculite around riser and in bottom tank. In upper pot area smoke will exit via chimney, rock pot will be sealed in upper tank with top open for water to be dropped on rocks. My questions are, the diameter of bottom tank is 12" so does that mean the riser should be about 36"? Seems like to get rocketry the legnth would matter. Do you think this will work for a sauna? Thanks for any insight. it will boil water and heat rocks. you will be feeding it lots and as the humidity comes up the efficiency of the fire will decline. in an Aprov rocket you will want the flame path to touch the object you are heating. you dont want flame to be bending around the object but to barely touch it. Could the bottom of the rock bin be the top of the barrel, and the riser tube 2" below that? Everything seems to be going nicely here. I do want to make the point that rocket mass heaters were not designed to maximize "rocketyness" (meaning WHOOOOSH factor). They are designed to minimize the amount of fuel you need, and most particularly the amount of smoke you create, in order to get a comfortable and practical heat for most indoor purposes. A faster draft in the heat riser might lead to unburned smoke being pulled through too quickly, and incomplete combustion. It's better than a big woodstove chimney, but still iffy. A larger fuel box means the burn tunnel becomes a bottleneck. Yes, it gets good mixing, but the stuff queued up behind it in the fuel box can release smoke into the room. The one in the video was a cool experiment, but the occupants are having some trouble now with smoke escaping from the woodstove when they go to feed it, and planning to replace it with a 'real' rocket mass heater. They have a straightforward RMH in another building and just like it better. A similar hybrid run by a forester friend in southern Oregon works fine, so it may just be a problem of that particular woodstove or the way we set it up. 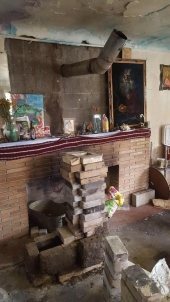 Note that the cob has cracked around the thin front wall (warm seat) from expansion of the stove; double expansion joints, or two open sides for the metal stove to expand when hot, are a design detail most people overlook. We helped a friend build a sauna heater that had a too-small heat riser because that was what he had, and nobody caught it. That DEFINITELY didn't work. Your big-riser idea might work better. But it's not necessary to make the riser and barrel have the same interior dimensions. They just have to both be at least bigger than the burn tunnel. For simplicity, I tend to recommend sticking with the even-cross-section throughout, because we know it works. Build one to play with, witness what we really mean by 'less wood' and 'no smoke,' and then see if you want to go back. (Or tweak it once you have a reference for what is possible, and see if it makes it work better or worse. 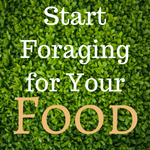 This is a subject that has been brought up by Crispin Pemberton-Pigott on the Stoves list at bioenergylists.org. Rocket stoves have a tendency to pull through too much air for optimal combustion -- better than a conventional stove, but it can be improved on. Dr. Winiarski, in the Aprovecho publication, "Designing Improved Wood Burning Heating Stoves," also counsels against designing in too strong a draft as it can pull the flames off the wood and extinguish the fire. Aren't you using the riser to pump the flue gases out in this system? Has anyone played with riser (post combustion) diameter and height to maintain optimum air flow in the combustion zone while maintaining optimal overall system flow? A well designed transition (venturi?) to a smaller diameter riser might accelerate the flue gases -- or it could just choke the flow and cause smoke to come out the fuel feed. Aprovecho did some experiments with riser height and chokes a few years ago, but I have not seen any follow-up. I noticed in one of the threads that someone had used initially a pipe, and then a squashed "M" metal sheet, to introduce pre-heated secondary air at the bottom of the riser. Has anyone else used this to improve combustion? 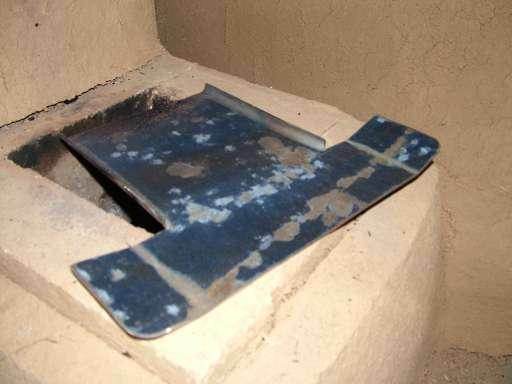 Jon and Flip Anderson have introduced turbulators in the flue of a rocket stove to improve combustion (broken ceramic plates embedded in the interior walls in the form of "Shark Fins". They seem to work well, though there has been some concern expressed about ease of maintenance. yes. and take crispin with a grain of salt he's got his agenda and is not going to give anything a fair shake unless it conforms, DR. is himself and thats the total comment on him that i have. yes a rocket can pull to much for a clean burn. so design the damn stove by the guidelines in the ******* book! yes the experiments have been done and you are welcome to do them over and please include me in the report on the experiments turbulators work but are easy to destroy so i build in the turbulence. the secondary air thing dont work hasn't worked and i doubt if any one can get it to work in a passive system. one thing to understand is that you can add bells and whistles to the RMH all day long but when the power goes out you want the stove to do its job. this is not a pellet stove that lets folks freeze to death looking at a full fuel bin and i dont want it to become one. If the addition to the stove will not work without power i dont want it on the RMH, i dont want it in the new book and it wont be. Thank-you. I take everyone with a grain of salt and a sack of salt for myself. 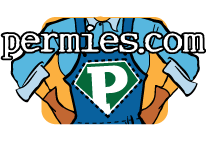 I have great respect for Crispin, Dr. Winiarski, Tom Miles, Dr Reed, Dr Anderson, Paal Wendelbo and everyone else who has taken time to devote to bettering the lives of so many, as you, your wife, Paul and others at permies are also doing. I don't expect that you will all agree with each other (the Stoves list is no love fest), but I hope to learn at least a little from all of you, and maybe contribute something constructive myself. Being a mental (zen and/or crazy?) tinkerer, and once-in-awhile a hands on one, I have some ideas of my own which I will probably try out sometime. I will be sure to let you know how they work -- good or bad. thats why i am not on the stoves list. the concentration is on cooking and i dont think thats the way it should be. folks freeze to death every year. hypothermia weakens the immune system and disease soon follows along with malnurishment the body needs food for fuel in the cold so the calorie requirements go up Etc. rant done. please do share the data, i am a bit of a purist and like my systems to work no mater what. cutting all the smoke out all the time is a goal but letting folks die while i am experimenting just pisses me off. Unless you plan a VERY small sauna, I recommend an 8 inch stove. There's something special about 8 inch (and above) systems that, in my opinion, isn't quite covered by standard theory. In any case, 8 inch systems produce a lot of heat, very quickly. Thermal mass in this case is practically useless, unless you plan to sleep in the sauna afterwards. 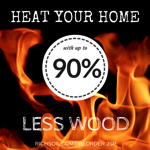 What is wanted is the maximum amount of heat in the sauna, as quickly as possible. 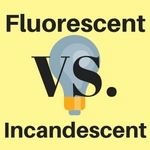 For this, ALL of your radiating surfaces need to be as light and conductive as possible. Also the internal parts (heat riser, burn tunnel, etc) should be as light and as well insulated as possible. Placing stones on top of the barrel (while a good tradition and I tend to do it myself) will in actuality slow down the heating of your sauna. In the last sauna that I built, the top of the barrel got TOO hot, turning cherry red. I was concerned that it would wreck the barrel top so I placed stones on it to keep it cool, which worked. I have found that the larger the gap between the barrel and the heat riser, the more heat that will be pumped into the room, also the higher the barrel is placed. This is likely due to the "bell effect" at work. The classic rocket stove design, with the barrel down as tight as possible to the heat riser is NOT a true bell. The heat intake in a real bell is at the bottom of the chamber, as well as the outflow to chimney, this arrangement allows the hot gasses to float to the top and remain until they are cool enough to sink to the outflow and escape. As I said before, the rocket stove barrel is NOT a true bell, the heat riser, high in the chamber will pump the gasses over and out rather quickly. So, make as large a gap between the heat riser and the barrel AND raise the barrel as high as is practical. I think Ernie's said this already, but.. If the feed box is larger than the burn tunnel, it WILL smoke back. If you want to fool with the feed at all, make a reducer cap that fits over the top. Reduce the intake to somewhere between 1/4 - 1/3 system size, you'll have to play with it a bit here to get it right. You'll have to cut yer firewood short enough to fit under the cap. The reduction will accelerate incoming air, it will blow on the fire harder, making it burn hotter and giving it more whoosh.. There's a balance here.. On one hand, as Ernie said, it will move things through faster giving it less time to burn completely. On the other hand, it will burn hotter, shortening the time you need for total combustion. Timing is everything. A smaller opening will blow faster (up to limits) but allow a smaller volume of air into the fire per time unit. Going too far in either direction (of opening size) will fail the stove, the goal is to find the sweet spot for your particular situation. Another feed modification is the "Peter Channel", which is an air channel at the front of the feed that is the entire width of the feed box, it should be quite thin and made out of something that will conduct heat well like metal. The area of the channel should be between 5% and 7% of system size, the bottom of the separating piece should protrude down (into the burn tunnel/feed junction) the same depth as as the gap width of the channel. Also, the top should stick out a bit to separate the air flows. In a stove without the Peter Channel, when wood in the feed box leans forward it will choke off the air a bit causing a relatively dirty burn. Also, the first brick of the burn tunnel gets really hot and will crack but more than that, when you experience "flame creep" (when fire climbs up the wood and out the feed, usually experienced burning soft-woods.) it's usually comes from right in front where the wood is ignited (I think) by touching that first brick. The Peter Channel solves all that by cooling the front brick, keeping the wood off said brick and always providing a quantity of air downwind, right into the path of combustion. I made the one in my shower house from a chunk of an old water heater tank.. I beat it flat over an anvil, bent the tabs in a vice (with convincing hammer blows), then ground to size and fit. You can see there's some kind of baked on enamel that coated the inside of the tank. It's quite resilient stuff, only really comes off when it's banged HARD between sledge and anvil. Notice how the wings are bent? The way they set, makes it fall tight against the face of the brick and keep it there. You can accentuate the effect by notching out the underside of the wings a little at their "arm-pits". I am still testing that peter channel Kirk, what is the channel depth for an 8 inch system? I think i did my figures wrong someplace cause i came up with 3/8th inch but it does not seem to have much effect and it seems to cause creep. I also want to see if i can do it with a nice tile but simply haven't the time yet. After this march thing we have i think i have some time and money to get a bunch more brick and things i will be setting up my test core for the 8, 10, and 12 inch systems. Well, I usually make my feed boxes a little longer than wide, It makes it easier to reach in with an arm to clean.. This means that since my feed is a touch narrow, the gap in my Peter Channel needs to be a smidge deeper. Though, I'd wager that the difference is so slight, it may not matter much.. The gap should be between 5% and 7% of the area of system size, likely closer to 5%. My stove is about 3/8 inch. Remember to let the plate hang long into the burn tunnel, around the same length as the gap, maybe a little longer. If it's causing slow start problems or a dirty burn, make the gap narrower. A too wide of a gap WILL adversely effect the stove. I suspect that a too narrow gap may not have much noticeable effect. What I've done (thus far) is to make the gap (obviously) too large and worked down to the right size by small steps, testing as I go. This invention is Peter Van Den Burg's.. He understands the thing completely, I'm just figuring it out myself. You may learn more, or understand it better if you read through the thread completely over here. Hot off the press! 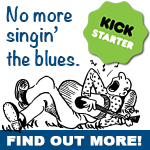 The latest design from Ernie and Erica! Jeremy claims that a larger heat riser diameter will boost the rocketry. This concept has my head reeling, trying to think like fire and flow like gas. Suppose our entire J-tube system with 55 gallon barrel was built with 6" flue pipe, with the only exception being a larger insulated heat riser (maybe 8-10 inches). Is that better than 6" all the way through? - The height of the exit flue (7)? - Or the space above and around the heat riser (4) & (5)? Ultimately, we'd love to be able to have the feed tube be taller than average in order to stack some wood up for a prolonged burn after leaving the greenhouse for the night. Seems that if we could get enough thrust, we could raise the height of the feed tube (1)? It doesn't seem possible to have too much thrust because it would be fairly easy to choke/damper it as needed somewhere along the way. Hmmm, that makes me wonder... where would the ideal location be for a damper in order to fine tune the burn of a very rockety stove? Can somebody please clarify for me then how big the burn tunnel's diameter needs to be? People recommend Ianto's book which states that it needs to be smaller than both the feed's and the heat riser's diameter, but Ernie mentions that it should be the same. Which one is it because currently my RMH mock up has a burn tunnel with a smaller diameter and the draw is inconsistent..if i make it the same all the way through will that solve the problem? Another issue raised by Jeremy is the notion of having a larger diameter for the heat riser. Can the heat riser's diameter be larger than both the feed tube and the burn tunnel? i made it all the same cross section and it works fine, not sure about the other options as i haven't tried them. 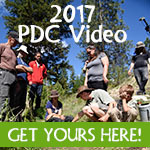 Need help with draft information not directly related to rocket stove problems. This is strictly about draft and the stack effect. If I have a 6" flue, can I effectively feed it with a 3" feed tube. Will the velocity of the incoming air through the 3" feed be almost twice that of the velocity out from the 6" flue, assuming a respectable flue height? If that is correct, how will flue height affect that incoming velocity? Could going higher triple the intake air's velocity? At what point does this stop working, if it even works like this? For instance, as an extreme example, a pinhole won't bring air in fast enough to feed a 6" chimney no matter how how high the flue, right? Not like we're going to get a tiny stream of incoming air at several hundred mph to accommodate the volume leaving the stack. What is the minimum of intake diameter to flue diameter that will supply enough replacement air to accommodate the exiting volume out the chimney? Whatever comes out must be equal to what comes in, right? Will the incoming air from a smaller feed simply increase in velocity to accommodate a larger flue's draft rate? I saw someone mention reducing the diameter of the feed to make the stove more "rockety" and it made me curious how that worked. Also, I read that a 20 foot chimney draws twice as hard as a 10 foot chimney. Does that mean two shorter chimneys working together would equal the draft of one chimney twice as tall? Thanks. 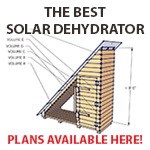 My questions are more to understand draft and the stack effect than to fix any problems with my rocket stove, which works great. The more I understand, the more I can accomplish with the next build, I figure. Sorry if this has been asked before and you're getting tired of answering. Total Cross Sectional Area, and friction loss at the walls X the distance you must flow your gas/or liquid ! There is a slight gain in total volume in flowing cold air through a pipe to replace the exhausted warmer air ! Remember that an increase in the Height of your Heat Riser/ internal chimney in inches will more than equal a change in your External chimney in Feet ! cram the Feed Tube full of wood creating a concentrating air flow ! Hope this helps a little ! Come back and ask the experts ! Big AL ! Hey, could someone help me to figure out the safest way to connect two barrels together. I see the use of a manifold in many rocket mass heaters, where a second barrel is cut down and connected to the bottom of the riser barrel. I'd love to know what is done to make this happen safely. A fire-proof gasket? A special strap? What would these things be called? The safest way, if your barrels will accommodate it, is probably the band clamps that are made to hold the lid on a 55 gallon drum. This would be augmented with a fiberglass or similar gasket that is thin enough to be clamped in the gap. A much easier and airtight, but not as strong, method would be high-temperature aluminum foil duct-sealing tape. Thank you Glenn! You've confirmed my hunches! Yes, both of those can be done. Using the band clamp, it helps to put together the bottoms of the two barrels - the crimped rim of these food-grade barrels on the sealed bottom is usually a little smaller than the rolled top rim. So two bottom rims will just about fit in the band designed for the lid and top rim. The top lid usually seals relatively airtight without even a clamp, pull out any rubber gasketing of course. If it is loose or dented, you may need to add a woodstove gasket (fiberglass ribbon) and the clamp, with its paint removed, to restore an airtight seal. When cutting out the bottom of the partial, lower barrel, don't go right to the rim. Leave 1.5" to 2" of the bottom, just cut a really big hole in the middle and leave some at the edges. Then hammer the edge part up as a flange, or cut into it and bend the tabs up. This creates a support that helps guide the upper barrel on, makes it harder to bump it off and break the seal. If done carefully, it can even help with the airtight seal (it may not be airtight itself, but it can help support the fiberglass rope gasket to make an easier seal that way). I like the flange better than the tabs, because it's easier to make the top edge relatively smooth; the tabs are like jaggedy teeth to snag unwary fingers as you put the top barrel in place. I have fond hopes that someone with good welding skills will help develop even better rims, or even decide to manufacture them, for supporting generic barrels. But this works pretty well for now. Wow, thank you Erica. Great info! Is there anywhere that all of this is shown in photos? I'd love to see how you professionals do the whole system. I see videos, but the details of everything are obscured. I always have questions like, "what would you call that" and "how did they do that?" I really appreciate this and any other help in my building of my first RMH. P.S. I built the double chamber cob oven from your plans and it's been fantastic! 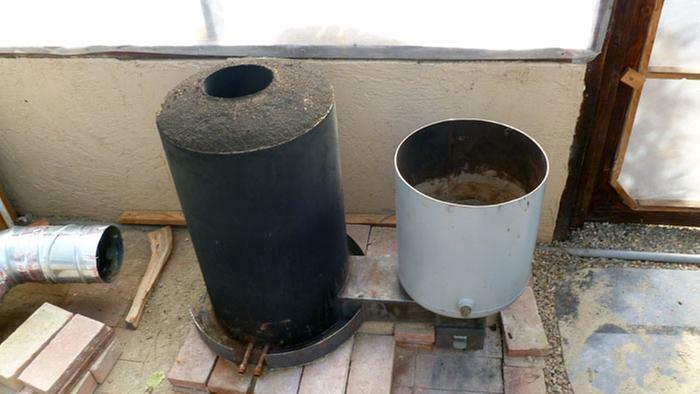 What is the biggest, baddest rocket stove possible? quick ? - Rocket stove flue.